The PhD project will use a REMUS Autonomous Underwater Vehicle to measure turbulent vertical fluxes and ADCP datasets to provide mixing parameter estimates over a larger area. 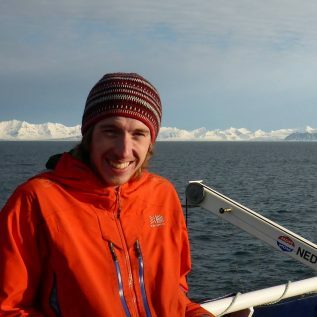 With a particular interest in Arctic Physical Oceanography, Jamie Rodgers graduated from the SAMS with a BSc (Hons) in Marine Science with Arctic Studies, spending a year studying Arctic Technology and Arctic Geophysics at UNIS, the University Centre in Svalbard. Jamie is a PhD student in the Arctic PRIZE project.